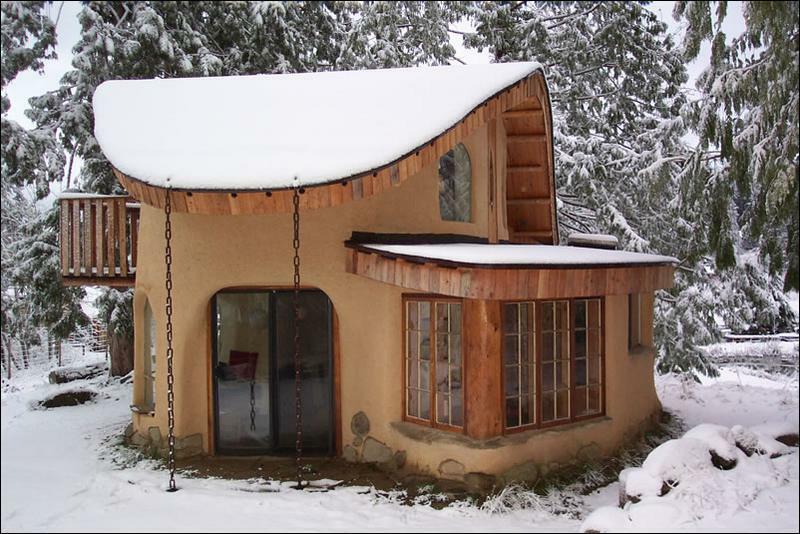 Cob house are quick, easy, and inexpensive to build. Loft bedroom made from cob. Cob stairs divide the rooms. This is the most symbiotic kitchen that I have ever seen that I have seen built. 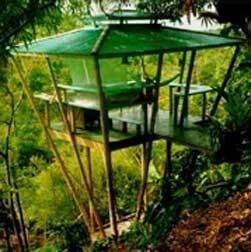 If you want a symbiotic house like this you can have one built for you or you can learn how to make one yourself. 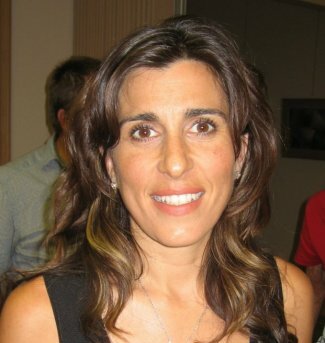 The Barefoot Team is a natural building team based in the Southeastern US. 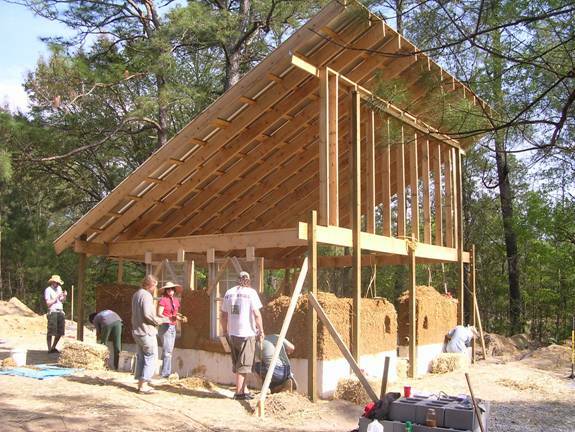 We teach workshops all over the country and are one of the few groups offering cob workshops and custom buildings in the Southeastern US. It is our goal to inspire and empower those who have traditionally been shut out of the building process to create their own healthful and heartful homes. We offer a wide range of family-friendly workshops, from one-day earth ovens to comprehensive owner/builder courses. We also provide consulting services in cob building and occasionally build cob structures and landscape elements. Your home is your sanctuary, the place you go to rest and recuperate, a medium for expressing who you are and perhaps the culmination of years of hard work. 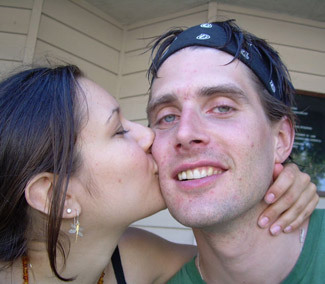 Buying a home is the major achievement of many people's young lives. The house is a symbol of stability family and prosperity and is likely to be the recipient of a great deal of your time and money spent on decoration and maintenance. You will probably spend fifteen to thirty years of your life working at a job that you may love or may loath in order to pay your mortgage. 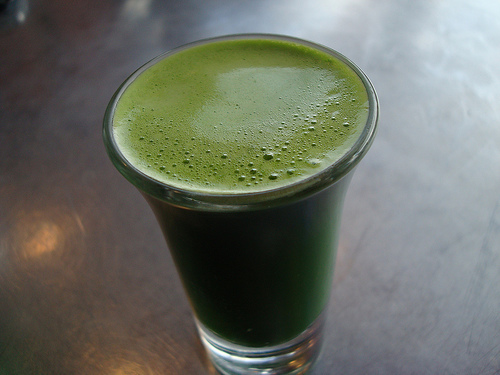 Yet this hard won sanctuary that you so treasure may also be quietly destroying your health. The modern home is a chemical gas chamber made of thousands of toxic synthetic materials that are dangerous to builders, homeowners, and the environment. Houses are not just made of wood and brick. 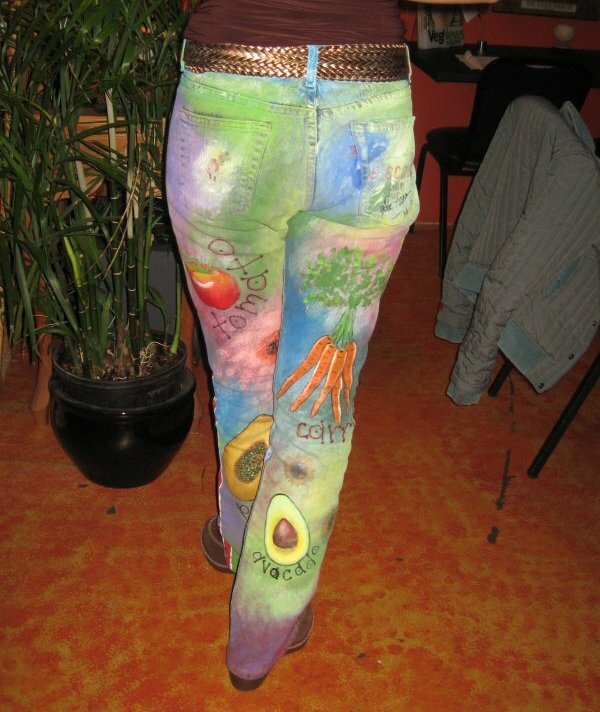 They are wrapped in plastic and Styrofoam painted with toxic paints, have tiles glued down with adhesives, vinyl flooring, Formica countertops, plastic carpets, formaldehyde soaked insulation, fire retardant synthetic furniture, poly-vinyl-chloride water pipes, plastic bathtubs and enameled metal ones; the list goes on and on. In fact, probably the majority of the components of a home are toxic. The chemical off-gassing from a new house ("new house smell") can last for the entire lifetime of the building, which in the case of most homes built today is only about 50 years. At the end of that time the house becomes toxic waste, nothing more than a disposal problem for your children. Compounding the problem is the fact that well intentioned efforts at improving energy efficiency have meant that most homes now are virtually hermetically sealed. Very little fresh air comes in and few toxic chemicals can escape. Most homes leave something to be desired in the area of human comfort as well. 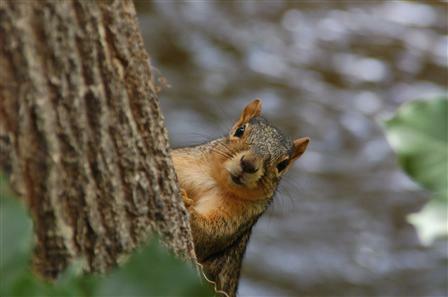 New homes are usually straight edged and sterile with little connection to nature. Residents often spend thousands of dollars on decorating to soften or disguise the soul impoverished linear qualities inherent to the modern home design. We all come from thousands of generations of people who have lived and died surrounded by the natural environment so being surrounded in our homes by straight lines and perfectly smooth surfaces that never occur in the natural world can be subtly unsettling. Living as we do now, in cities and suburbs, the closest most of us get to our ancestral environment is a chemical drenched lawn or a city park. While we may enjoy the stimulation of this lifestyle, the lack of connection with our natural environment can cause constant low level stress and ultimately damage the psyche as well as the physical body. 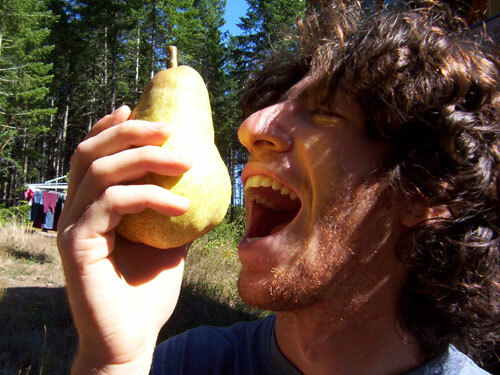 There is an alternative, however to living in a toxic synthetic environment. People built breathtakingly beautiful and comfortable homes for thousands of years before sheetrock, latex paint, fiberglass and all the rest were ever invented. Many people today are looking to these ancient traditions of architecture to provide relief from chemical induced illness and refuge from high stress environments. Houses can be built entirely from stone, wood, straw and earth without any synthetic materials at all. When we surround ourselves with the elements that we have evolved with throughout human history we are far less likely to be harmed by them than by chemicals that have existed only for the past two or three generations. Earth is the oldest and most common building material on earth. About one half of the world's people live in homes built of the earth and many of us who have not grown up with these traditional buildings are beginning to see the need to revive them in the Western world. Earthen buildings in one form or another have been built for thousands of years all over the world, in Africa, Europe, Asia, and the Americas. Parts of the Great Wall of China are built from earth as well as large parts of the first great cities, Babylon and Ur. In Yemen there are cob buildings five stories high built in the middle ages and still inhabited today. In Southern England tens of thousands of cob homes between 500 and 700 years old remain in use today as hundreds of new ones are being built with the encouragement of the Queen. In the United States there is the Taos Pueblo, the oldest existing buildings in North America, built entirely from earth. Even in the northeastern US many colonial era homes are built of earth, most of the wooden ones having long ago burned or rotted away. There are at least forty adobe homes in New York over 100 years old. 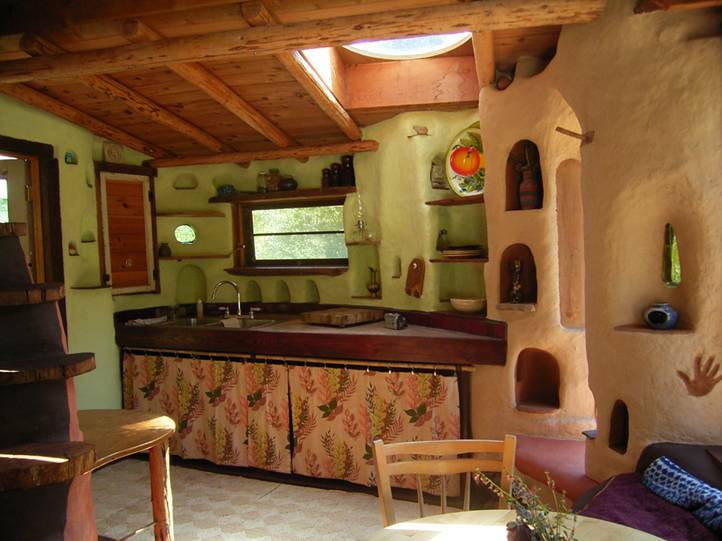 There are cob and adobe homes in Pennsylvania and Massachusetts. Even Paul Revere's home in Boston is built of adobe bricks. 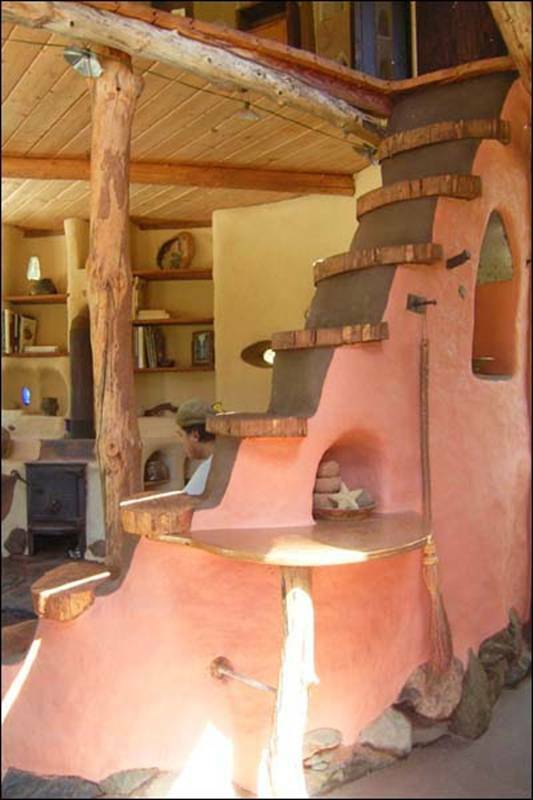 Cob is a style of earthen building developed in the harsh wet environs of the British Isles. It is similar to adobe, being made of the same natural ingredients, but where adobe is formed into bricks and sun dried cob is applied directly to the foundation by the handful or by the shovelful to create hand sculpted free flowing walls. 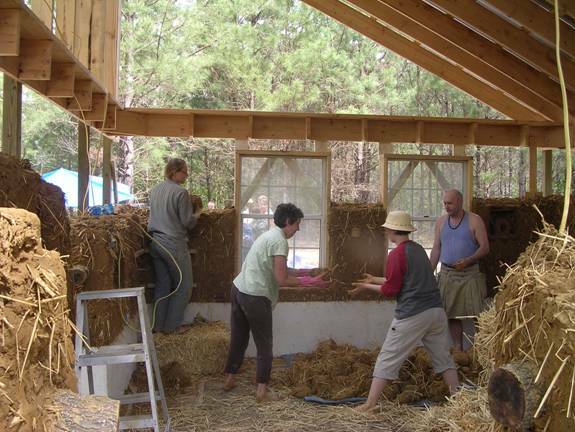 Building with cob is a creative experience similar to sculpting with clay. Cob is stronger than adobe and more resistant to wet weather because it has a higher straw content and because it is monolithic. In other words, cob is not made into individual bricks, but rather the whole building is one single brick. There are no seams for the walls to crack along. 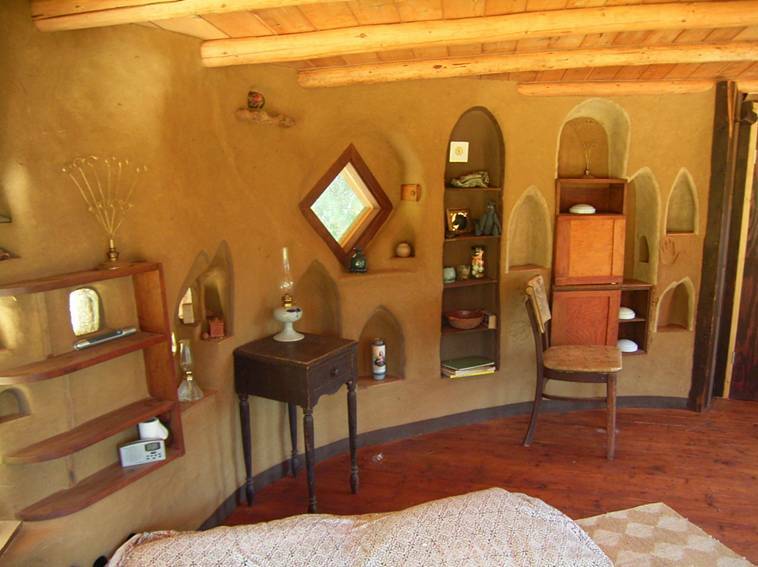 Cob homes can be built entirely from natural materials from the foundations to the paints. These houses are cool in summer and warm in winter because of their thick walls and thoughtful designs. Acob building may never need to be heated or air-conditioned except in the most extreme climates. 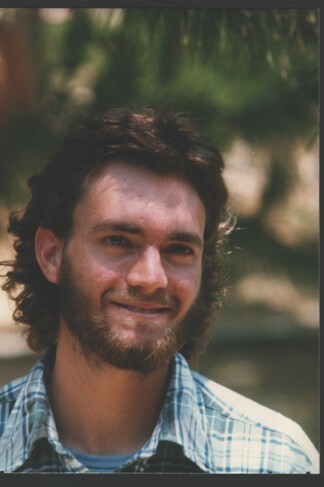 I spoke recently with a woman who grew up in a stately old adobe house in Central America. She recalled afternoon naps as a child, taken to escape murderously hot afternoons, in the pleasantly cool bedroom of her parents' thick walled earthen home. One of the greatest benefits of a cob home is that not only will it not be poisoning you, but it can also be very inexpensive. Thus you can spend less time in a stressful work environment and more time participating in the life of your family and community which will certainly also keep you healthier and happier. 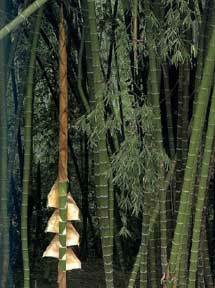 Houses made from bamboo are symbiotic too. All of these houses aren't real. They will eventually be disolved back to the Earth. The materials in these houses are changless and eternal. This goes for everything, not just these houses. All the man made things we have are just energy energy patterns that have been rearranged. 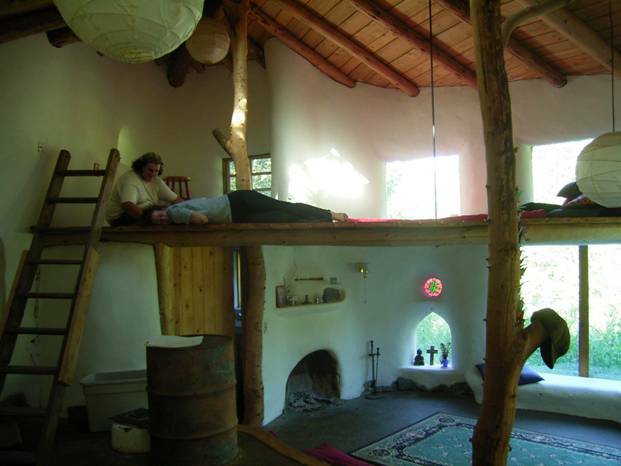 If you want to learn about cob houses where I first learned about them, the site is BarefootBuilder.com. I hope these cob houses become more popular as people find out about them. 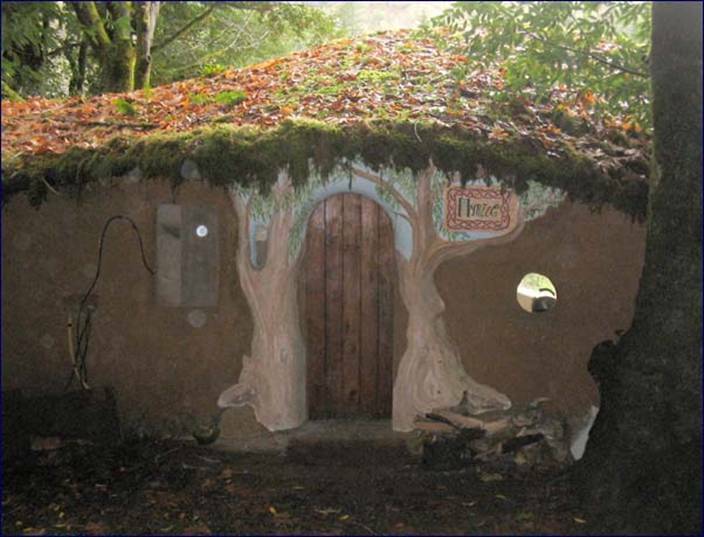 There is nothing like living in a cob house.